The Womens Mainstay Tank Top from Patagonia is your all-day, everyday layer, an essential summertime staple. 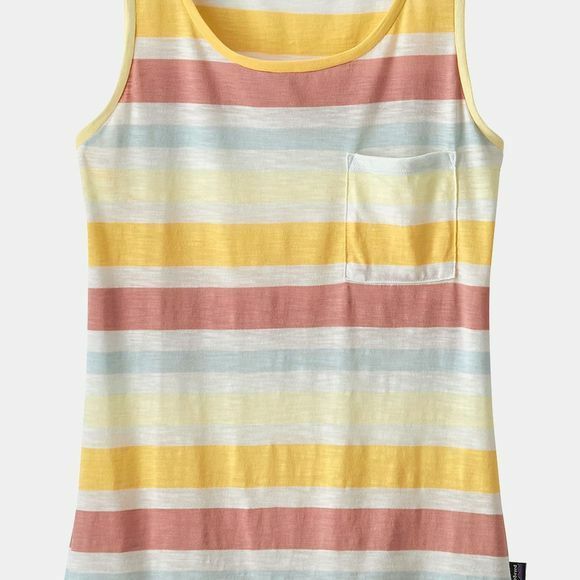 This lightweight tank has a classic pocket-tee silhouette and is made with supersoft and breathable organic cotton and polyester. Small left-chest patch pocket holds five four-leaf clovers.